Spring is right around the corner! Easter is a big family gathering food feast! What wine goes best with those Easter brunch and dinner dishes? I decided to repost from a couple of years ago with a few new wine pairing ideas. Brunch has so many options to pair with wine. 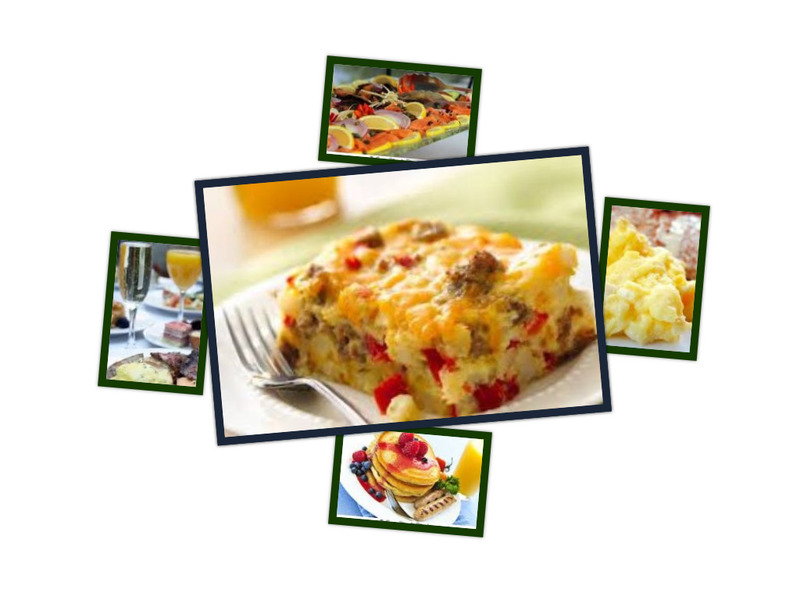 From simple eggs or fancy omelettes, bacon and sausage, waffles or pancakes, crab cakes, roasted meats, fresh fruits, salads, quiche, chilled shrimp or crab legs…the menu is endless! I tend to prefer pairing brunch foods with a chilled glass of sparkling wine- champagne, Cava, or Prosecco…”brut” style- helps refresh the palate- whether by itself or in a tempting “mimosa”. Sparkling wines compliment just about any food, so pop those bubbles and enjoy! These effervescent gems can be poured from brunch on through dinner, no problem. So the pairing is complete, right? Not even close!!! If you are a wine lover, but not too keen on bubbles, let me offer you some alternatives that will make you and your Easter guests quite happy at any meal . When it comes to Easter, what traditions do you follow in your family celebration? 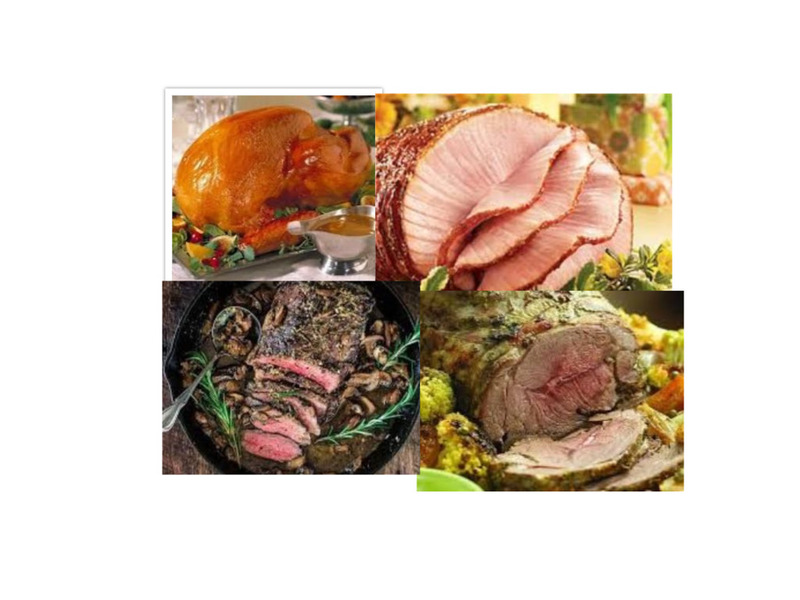 Do you serve roasted turkey, baked ham, roasted leg of lamb, beef tenderloin, or maybe a roasted pork loin? These favorites come to mind when I think of the star of the meal. Every family has their favorite…lamb is my meat of choice. This year I want my husband to try smoking a leg of lamb!! I’ll be selecting a fuller bodied red wine to stand up to the richness of the smoked meat. 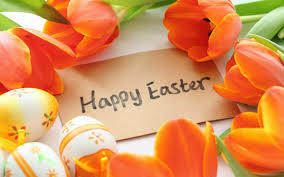 I wish you and your a lovely Easter !! 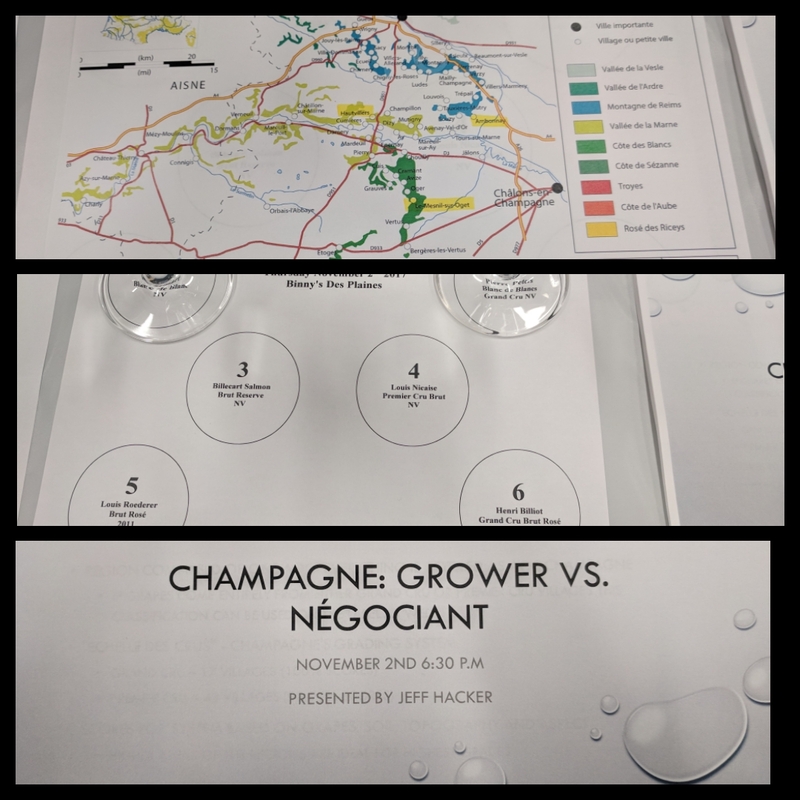 I had the pleasure of attending a seminar on Grower vs. Négotiant Champagnes…what a treat! Our presenter was Jeff Hacker who works at Binney’s Beverage Depot in Des Plaines, Illinois. Jeff has been in the industry for over 11 years. 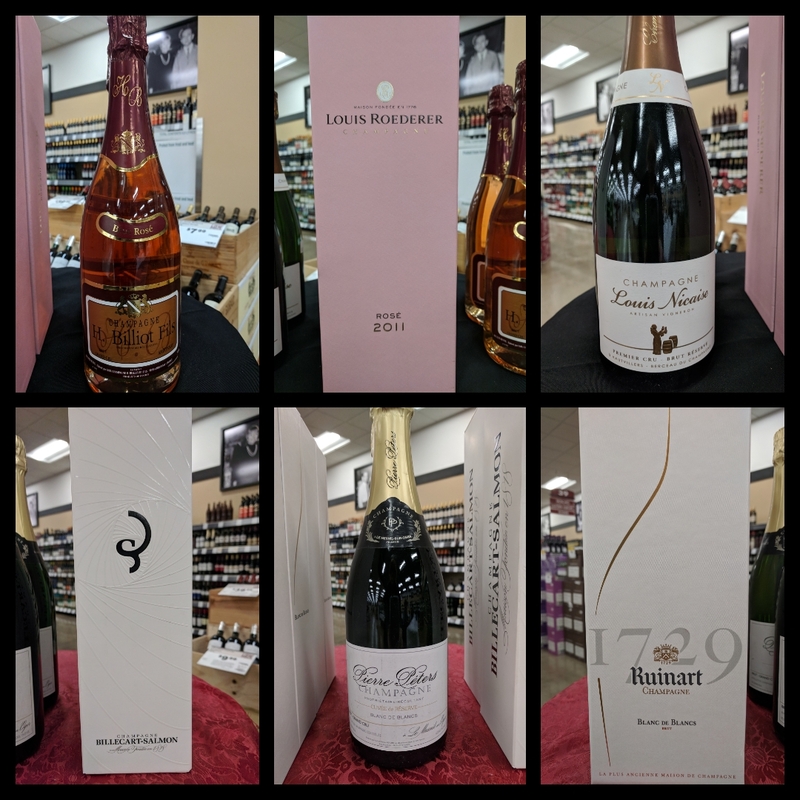 Jeff gave us a look at the world of Champagne while we tasted 6 amazing bottles of bubbles. 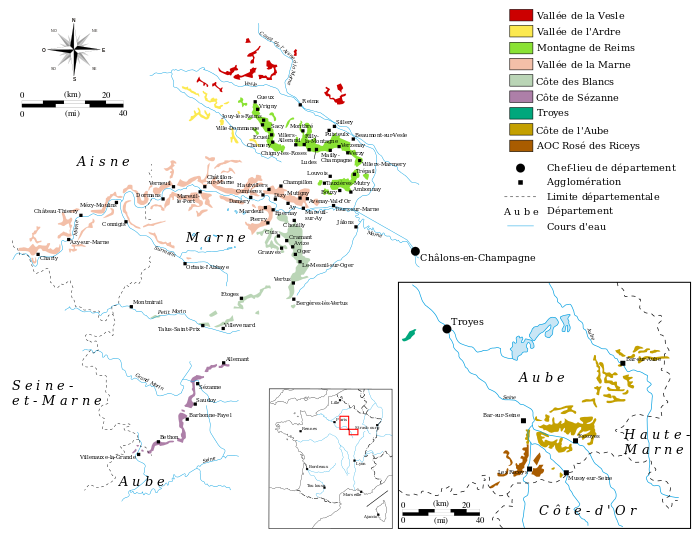 Each tasting group – Blanc de Blancs, Blends, and Rosé- consisted of a Négociant and Grower champagne. Location: 48th parallel- the northern most point of wine production. Dosage: Sweetness levels ** First champagnes were made in a sweeter style than they are today. The measuring scale went from sweet to dry, which is why dry and extra dry are actually sweeter than brut categories! **Dosage is a mixture of sugar and wine added after the 2nd fermentation. **Residual sugar is the sugar remaining in the wine after fermentation. It is measured in grams per liter. Below is the scale from driest to sweetest. Négociant- Ruinart Blanc de Blancs NV -vivid, racy, my favorite of the night! Thank you, Jeff, for an informative, delicious evening! The worst part of my job is spitting and dumping the wines at a tasting! Too many superb champagnes…must go back and bring a few home to truly enjoy! Cheers! Santé!